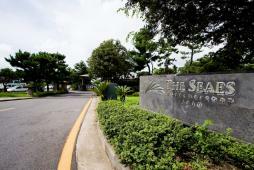 The Seases Hotel & Resort is the traditional choga hotel which boasts 13000 square meters site, and reopened after changing the name from Sea Village Hotel. Located in Baerinne village (means ‘falling stars’) at Chungmoon, Jeju, the hotel boasts the site of 13000 square meters! The hotel is located in the cliff of the sea and it is the perfect hotel if you want to enjoy a relaxed resort mood. Though the exterior is the traditional Jeju house, the hotel is decorated with modern interior inside! The hotel offers not only a Jeju’s traditional mood but also exotic mood. The hotel is also known as the location of MBC drama ‘Goong’. There are 28 rooms with a selection of kodan, chodan, deluxe, suite, garden suite, ocean suite, royal suite and presidential suite, and all rooms are villa type located in independent buildings. All the rooms are equipped with a terrace and suite rooms are equipped with an outdoor pool to offer a private stay for families, groups and couples. (they are connected to in-house bathrooms) Charcoal baskets are placed underneath the bed for a good sleep. Grains remain intact on floor and tables of the independent front. It provides the serenity of nature and perfectly matches the image of a traditional hotel. Furthermore, large windows offer views of the in-house garden. There are many locations of Korean dramas. Guests can enjoy visiting drama locations while relaxing in Jeju.